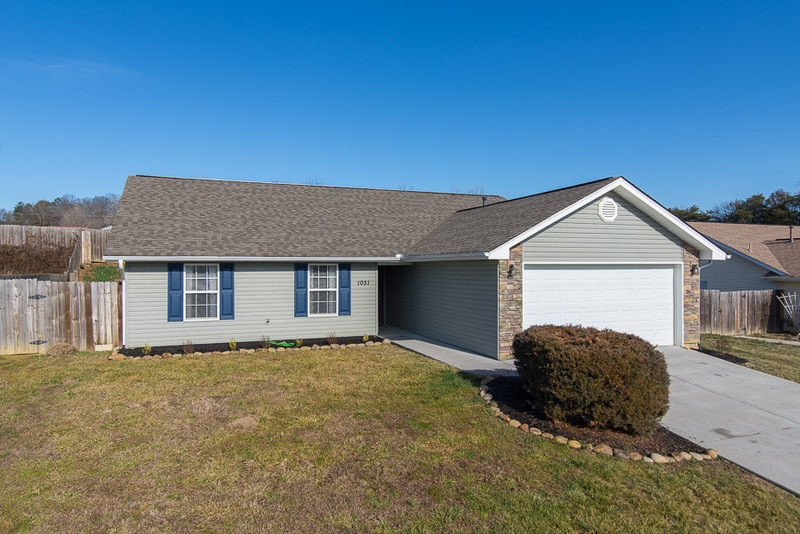 Listed by Kathryn Lovell-1051 Stone Throw LN Sevierville TN 37876- | Sevierville Homes for Sale, Property Search in Sevierville,homes for sale,Smoky Mountain Real Estaste,Pigeon Forge Real Estate, Gatlinburg Property for Sale. Located in Historic Boyd's Creek,this Well Maintained, 3BR/2Bath Turn Key, All one level, Ranch Style home, is perfect for great beginnings, the buyer downsizing, or investor. Conveniently located to Knoxville and Sevierville, and just minutes to Pigeon Forge, Dollywood, and the Great Smoky Mountain National Park. The floor plan is open and bright, great for family gatherings or entertaining.The master suite and master bath are spacious, with ample closet space and dual vanity. Both Spare Bedrooms are roomy and would make a great office, library, nursery, or craft room. Wood floors in the living room. Lots of Kitchen Cabinetry, and Breakfast Bar. Convenient Utility Room with Cabinets Located off the 2 Car Attached Garage. Privacy Fenced Yard in a Country Setting. Situated in a Cul-de-sac for Privacy. Excellent Location, yet quiet and peaceful. Square footage taken from tax records, buyers to verify if important.